ACTEON North America has introduced a new set of ultrasonic tips for the Piezotome 2 and Implant Center 2 LED devices for piezoelectric bone surgery. 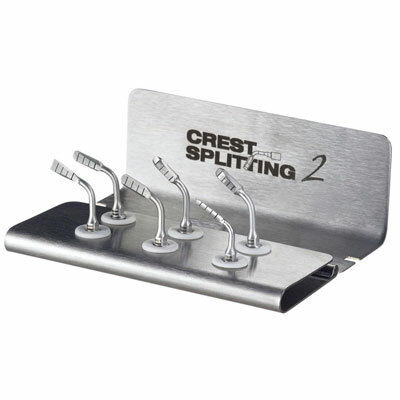 The Crest Splitting Kit includes 6 tips that can be used with a specific protocol to allow clinicians to perform safe, effective ridge splitting during pre-implant bone surgery. The ultrasonic frequency of Piezotome makes the instruments active only on bone so there is reduced risk of damaging delicate structures such as gingiva and nerves. These uniquely designed tips are the first of their kind and can only be powered by Piezotome 2 technology from ACTEON.